Iconic Chinatown restaurant Hop Louie is closing its doors its kitchen after more than 75 years in business, but diehard fans of vintage L.A. needn&apos;t say goodbye without a proper farewell. Charles Phoenix, an entertainer, historian and high emperor of all things Southern California kitsch, will be convening a Last Supper at Hop Louie Monday night for all who want to pay their respects and dig into one last dish of crab rangoon at "the world’s greatest pagoda-shaped Chinese Restaurant," as Phoenix describes it. "[Hop Louie] is an L.A. icon," Phoenix told LAist. "It&apos;s legendary and it&apos;s loaded with history." "I always say if Lucy and Ethel were going to go for Chinese food, this is where they&apos;d go," Phoenix said. "It&apos;s mid century Chinese modern—you don&apos;t see that a lot anymore." The meal is technically "no host," meaning you&apos;ll pay for your own 1950s-style Chinese food, and "Exotica" style is encouraged. Mourners and revelers are invited to gather at 950 Mei Ling Way at 5 p.m. tonight, per the Facebook invite. On the invite, Phoenix also advises that no reservations will be taken, the restaurant may run out of food, and there could be a wait for a table. Cocktails, however, will be available. All in all, sounds like a pretty authentic Hop Louie experience. "I love the layers of time. I love the Americana experience. I love kitsch. 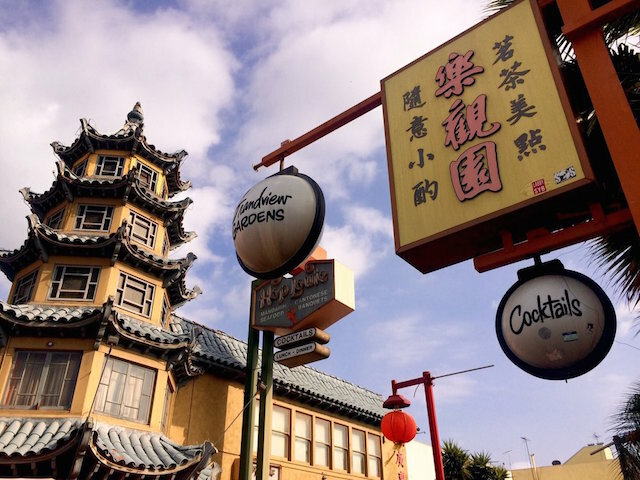 When a place like this is closing, I want to go and celebrate it one last time," Phoenix told LAist, adding that he also wants to show his thanks to Hop Louie&apos;s owner and management.